We all know the amounts of snow and cold temperatures that have set in for the Tri-state area, and New Jersey has had its fair share of snow fall. At Phil's Service we have been getting an increase of requests on the BMW E90 chassis, or 3-series from 2006-2011. They are all now around 35-85,000 on the odometer and needing the typical upkeep to stay driving like they were intended to feel on the road. Like prior 3-series, these need front control arms with bushing, sway bar links, and even sometime shocks. Its imperative to keep this maintenance up due to safety making sure the grip and ride stay intact. 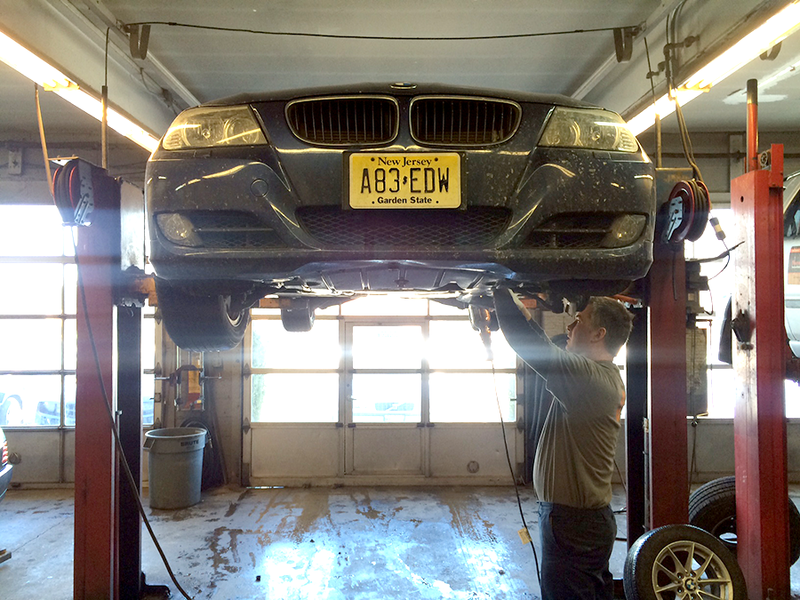 The vehicle in the photo is a 2010 328i with xdrive and roughly only 34,000 on the clock and needs only front control arm bushings. The customer stated feeling a pulsation when driving and even braking. Sure enough it was the typical items we knew of. For the E90 owners out there if your vehicle is in that range of mileage it wouldn't hurt to get the car checked out to make sure your BMW keeps driving like the ultimate driving machine.